Home Elderly Home Care What are the 7 ADLs? Activities of daily living, ADLs for short, are essential everyday tasks that people do to live healthy, safe, independent lives. ADLs are used in the caregiving industry to assess an individual’s ability to function on their own. This evaluation then helps determine whether an individual requires home care and assistance. If you have elderly loved ones, then it is important to know what the different activities of daily living are. You may be concerned about your elderly relatives living on their own at home and feel they may need daily care. 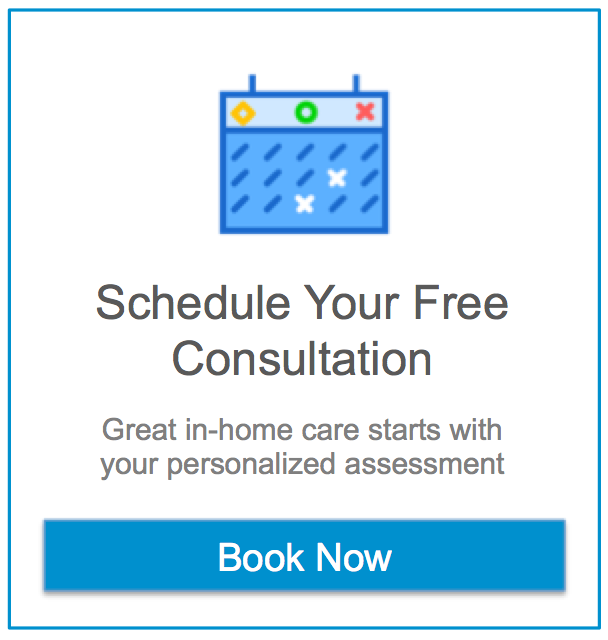 By evaluating their ability to perform ADLs, you can get a better, more accurate idea of whether they are in need of caregiving services from a home care agency. Your senior relatives may also be eligible for government help depending on their ability to perform ADLs. For some elderly individuals, only part-time home care is needed. For others, full-time home care is required in order for them to maintain their health and well-being. Read the following information to learn more about the different activities of daily living and their importance. Personal hygiene concerns bathing, showering, oral care, grooming, nail care, and other activities that help one remain clean. Personal hygiene is important in order to maintain your health, well-being, and even personal appearance. However, some of these tasks can be especially difficult for elderly individuals, making it tough for them to maintain their personal hygiene. Knowing this, pay attention to your elderly loved one’s hygiene habits and grooming as their inability to maintain or perform such tasks should be of concern. Continence management concerns toileting and one’s ability to control their bowels and bladder. If an elderly individual has continence problems, their incontinence can significantly affect the individual’s ability to live their life. Because of their lack of control, seniors may require incontinence care at any moment, so they have a great need for a caregiver who will help them clean up and change after incidents occur. Getting proper nutrients helps people stay healthy, and eating daily meals gives us the necessary energy to get through the day. This is why it’s so important to be able to feed yourself. If you have an elderly relative who isn’t eating enough, then it may be a sign that they have trouble feeding themselves and require assistance. If this is the case, help is a necessity. Otherwise, your loved one may end up skipping meals due to their inability to eat on their own. Getting dressed and putting on clothing seems like a simple enough task, but it’s not easy for everyone to do, especially elderly individuals. If seniors cannot change their clothes, then they will be left wearing the same dirty clothing items and will be unable to get properly dressed for various occasions. That said, it’s important that people are able to dress themselves or get the assistance needed to change outfits. Ambulation refers to one’s ability to walk from place to place independently. If you have an elderly loved one in a wheelchair or who requires the assistance of a walker to safely move about, then care services would likely be beneficial for your relative. If they need help walking, then they may be more at risk of suffering from falls while moving about. This risk can be minimized significantly with someone present to help them move around their home. Transferring is similar to ambulation but concerns a person’s mobility. Examples of this include getting up and into bed and standing up after being seated. Struggles with transferring can also be potentially hazardous because a senior’s difficulties with transferring can lead to accidents. Knowing this, assistance would be of great benefit to your loved one. Memory problems can be especially troubling to encounter in your elderly loved ones, because it may be an indicator of Alzheimer’s disease or another form of dementia. Although there is no cure for dementia of any sort, early diagnosis is best with such conditions, so be wary of frequent forgetfulness and memory lapses in your elderly relatives. If you find that your elderly relatives struggle with any of the aforementioned activities of daily living, then you should get them part-time or full-time help from a home care agency. Home health care services will allow them to remain within the comfort of their own homes while still receiving the care they require. Assisting Hands Serving Miami Beach, FL, can provide assistance with the senior home care services we provide to elderly individuals in need. We can provide your elderly relatives with professional well-trained, qualified caregivers who will help with any ADLs that may be difficult for seniors. We will also help with other important activities such as transportation and meal preparation. The caregivers we employ are trained to conduct CPR and first aid, so you can have some peace of mind knowing that your loved ones are in the hands of our caregivers.